Before cooking the shrimp, go ahead and start steaming your broccoli. That way when the shrimp are finished cooking, your broccoli will be finished as well. Place ghee on stir fry pan and place on low/medium heat. When ghee has melted, place the shrimp on pan. Let the shrimp start cooking, then add the lemon juice and coconut amigos. Continue to sauté, once shrimp are almost finished cooking, add the cilantro and seasoning and let sauté for about 2 more minutes. 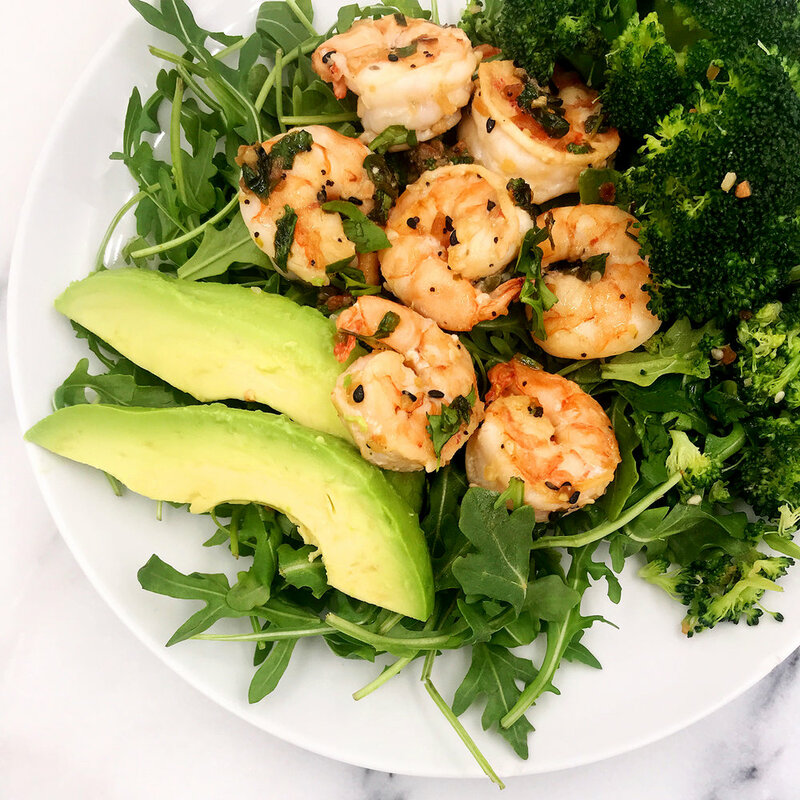 Place shrimp on top of the arugula salad mix and serve with the broccoli and some avocado. Drizzle a little lemon juice on top and enjoy. Feel free to add Primal Kitchen Green Goddess Dressing on top.